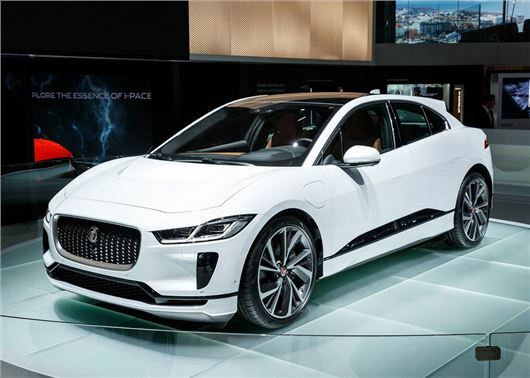 Jaguar has unveiled the I-Pace, ahead of its public launch at the Geneva Motor Show 2018. The all-electric family SUV starts from £63,495 (before Government EV incentives) and will be capable of covering almost 300 miles on a single charge. Unlike the majority of cars being unveiled in Geneva, the 2018 Jaguar I-Pace is actually on sale now, with deliveries expected in the summer. The coupe-style SUV is similar in size to the XE and powered by twin electric motors, with 400PS and a supercar rivalling 700Nm of torque. According to Jaguar’s official figures, the I-Pace will cover 0-60mph in just 4.5 seconds. 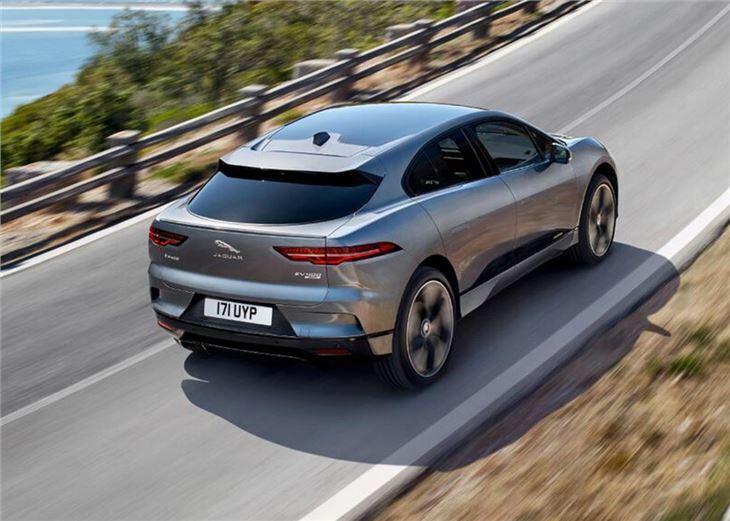 Despite the high-performance billing, Jaguar is promising family car levels of comfort, with the use of double wishbone front and multi-link rear suspension. Buyers will also be able to fit air suspension and adaptive dynamics as an option, which will allow the handling and ride to be customised from comfort, eco and sport modes. 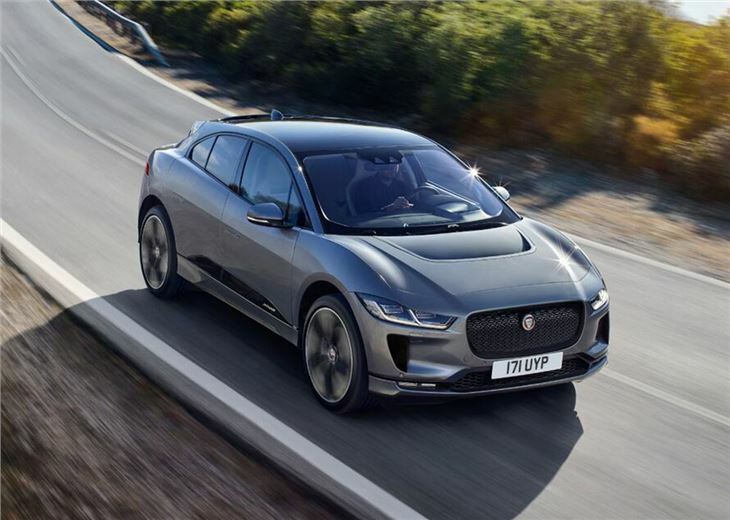 Designed as an electric vehicle from the outset, the battery will be capable of charging from zero to 80 per cent in 10 hours when connected to a standard 7kW AC wall box. However, find a 100kW public charger and that time will fall to just 85 minutes. Like the new Nissan Leaf, the I-Pace features one-pedal regenerative braking, with the system flowing kinetic energy back into the battery when the driver lifts their foot off the throttle. The interior of the I-Pace should be large enough for five adults to fit, owing to the fact that the battery - which has an eight-year/100,000 mile warranty - is placed low down between the axles. 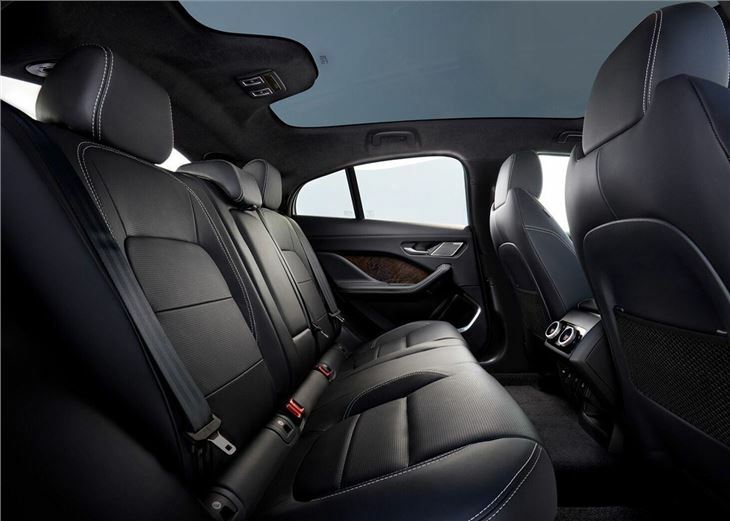 Those in the back will get 890mm of legroom and the boot will offer 656 litres of storage. There will also be stowage points for laptops beneath the rear seats. 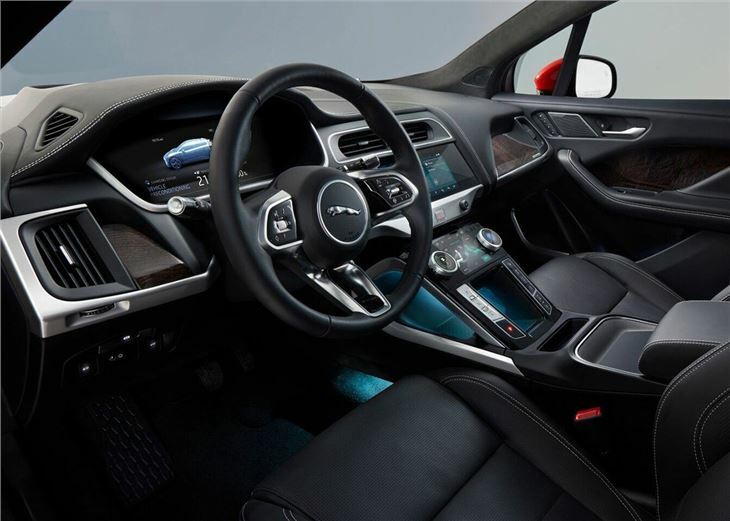 Like the Range Rover Velar, the I-Pace's in-car settings are operated via two HD touchscreens. Called Touch Pro Duo, the screens are operated with pinch and swipe hand movements. It also gets two rotary controllers for one-touch operation for air con and heated seats. A digital dashboard will allow the driver to customise the instrument binnacle with maps, route directions and traffic updates. Built in Austria, alongside the E-Pace, the I-Pace could herald a new wave of electrified Jaguars with the XJ and XE expected to get plug-in powertrain options in the future. The I-Pace will be unveiled to the public for the first time at the Geneva Motor Show 2018 from 8 - 18 March.